English is no longer the language of only so-called native speakers of English (e.g. Americans, British, Australians, and so on) because the number of native speakers is already outnumbered by non-native speakers of English. It has already become a global language which is not only a means of disseminating new knowledge in any field throughout the world but also a means for intercultural communication. English has already become an inevitable part of the education in Nepal though there are many challenges to make its teaching more effective. Those challenges include techniques of teaching to macro-level educational language planning in Nepal. One of the major challenges is how teaching of English can be made appropriate in the multilingual and multicultural context of Nepal. Nepal English Language Teachers’ Association (NELTA) organized its 16th international conference in Kathmandu (18-20 February) and Pokhara (22-23 February) where more than 500 and 400 participants in the former and the latter respectively discussed challenges and opportunities of teaching English in multilingual and cross-cultural context of Nepal. There were more than 200 papers and plenary speeches of different scholars, researchers and English teachers from home and abroad. Professor Adrian Holliday from Canterbury Christ Church University, UK and Professor Emeritus John F. Fanselow, Columbia University, USA delivered key speeches on the theme of the conference ‘English in multilingual and cross-cultural contexts: exploring opportunities and meeting challenges’. Despite the fact that indigenous languages are on the verge of extinction, there is a craze of learning English among students and parents also aspire to educate their children in English medium schools. This aspiration has been already reflected in the educational language policy of the Ministry of Education (MoE) to introduce English from Grade One in community schools. In the same way, the MoE has already given the authority to management committees of the community managed public schools to shift themselves from Nepali to English medium of instruction. The number of schools switching to English medium is increasing every year. On the other hand, English is both subject and medium of instruction from pre-primary level in private schools. However, there are many challenges to teach English to students who come from various linguistic and cultural backgrounds. One of the challenges is that whether or not students get chance to utilize their own cultural and linguistic knowledge in schools while learning English. Some questions pertinent to the theme of the conference were: how our socio-cultural background can shape teaching and learning of English? 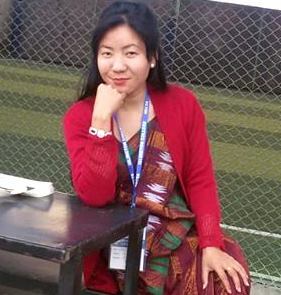 How can we teach English while addressing linguistic and cultural diversity of Nepal? How can we foster critical and creative thinking skills? There were discussions on how learners’ prior linguistic and cultural knowledge helps in learning English. The papers presented in the conference provided a great implication that students’ cultural knowledge can be a resource for teaching and learning English. Professor Holliday argued that the English language can foster intercultural communication among the children from diverse cultural as well as linguistic backgrounds. Focusing on the importance of children’s prior knowledge, he reiterated that teachers of English should capitalize multicultural experiences that children bring into the classroom while teaching English. He also put a significant point that teaching of English should be contextual and we need to educate children about the nature of English in relation to society. This clearly indicates that to address the expectations and experiences of children from diverse cultural backgrounds, teachers’ role as a passive-technician is not enough rather they have to be a transformative intellectual. Teachers should understand that classroom is socially constructed and historically situated and they should create such an environment where students from various backgrounds can get opportunities to utilise their prior knowledge. In general, English teachers are not simply in-charges of classroom but also agents for social change. They can also contribute to foster democracy and critical thinking skill by creative inclusive learning environment where students can exercise their values, assumptions and identities shaped by local, national and global socio-cultural settings and expectations. In the same line, Professor John F. Fanselow, another key speaker in the conference, focused on how students can be taught creatively so that they get more opportunities to use English. Breaking rules of traditional teaching, he discussed that teachers have to arouse curiosity of students to resolve various puzzles themselves rather than showing their fault while they make mistakes. Emphasising the importance of thinking process, he stated that students should be given enough time to think while teaching English. He also presented the idea of recording and transcribing learners’ classroom language which can be an abundant source for teaching English. This clearly indicates that we need to rethink the way we are teaching English in Nepal. Some crucial questions that may help us to further our debates are: How often do we give students chance to think critically? Are we aware of their socio-cultural backgrounds? Have we tried doing something new or beating the same old drum? Professor Fanslow’s presentations were all about deconstructing the old rules of teaching English and reconstructing alternative ones to engage students in doing things. Professor Abhi Subedi, critically assessed the consequences of detaching teaching English from cross-cultural context in Nepal. Analyzing the socio-political and historical discourses, he strongly condemned that our practices of teaching English have not been able to address socio-cultural realties. He argued that ‘methods [of teaching] … failed to suture the diverse experiences of English teachers in this country’ and is critical about teachers’ resistance towards change. He showed his concern about the fact that teaching and learning of English has been confined within the classroom. This clearly indicates that there is a huge gap between socio-cultural reality and teaching of English in Nepal. He appealed that we can design syllabuses and can develop viable methods of teaching by considering our own multilingual and multicultural realities. He also mentioned that now there is no point in following British or American Standard English to teach English in Nepal. In the same way, focusing on the importance of English, Professor Jai Raj Awasthi presented that three language policy (mother tongue, Nepali and English) can be a pragmatic policy for placing English in multilingual and multicultural context of Nepal. The reflection of the only mega event of its kind in Nepal points out some crucial issues regarding teaching of English. First, there is an urgent need of taking the ownership of English rather than considering it as a ‘foreign’ language (in literal sense, not in pedagogical and political sense). Since there is a craze of learning English even in rural areas of the country, we have to closely observe how English is being produced (Spoken and Written) to indentify our own variety of English. Second, we have to work hard on designing syllabuses, writing textbooks and producing learning materials which address expectations of Nepalese children from multilingual and multicultural backgrounds. Third, we have to explore more opportunities and should try developing alternative ways of teaching to foster students’ creative and critical thinking skills. Overall, we have to deconstruct the tradition that confines English in the classroom, break the rules that make students produce only minimal language (formulaic speech), smash the hierarchy between teachers and students to foster two-way communication, demolish monolithic and mono-cultural world view to advance intercultural communication and forget prescriptions of any method to instill critical thinking skills for independent learning in students. I agree with the ideas of our respected teachers Awasthi and Subedi sirs, furthermore, I would like to remind them of not forgetting to understand multi-purposes of students while learning English; out of which to adjust in the global market may be the major one! That is what has been aimed at in papers several times! And, in speech, many more times!! Now we need to see it in action at least one or two times! And, in life, many many more times!! The steps from construction to reconstruction through deconstruction! It is to garner through true attempts the day-to-day realization!! Hearty thanks to all the sung and unsung scholars from home and abroad! ELT in Multicultural contexts, a hard nut to crack, let’s make our acts so broad!! Thank you, Prem sir, for such a burning issue! With good light shedding on NELTA’s 16th International Conference!! All experts and scholars of English, students want your lead and often miss you! High time we did something now and came up with novelty as a good inference!! And, in words many more times!! Now, we need to see it in action at least one or two times! And, in true practice many many more times!! Hearty thanks to all the sung and unsung scholars from home and abroad!! We need to garner through sincere attempts the day-to-day realization! ELT in Multicultural contexts, a hard nut to crack; let’s make our acts so broad!! Shedding good light on NELTA’s 16th International Conference! All the experts and caretakers of English! Students yearn your lead and often miss you. All the experts and caretakers of English! Students yearn for your lead, and often miss you. High time we did something and came up to instill novelty as a good inference! Multi-cultural teaching sounds great, but, in my opinion, textbooks should be oriented into this direction too. Textbooks usually reflect a lot of the culture of the target language. Teachers have to adjust some of the topics so they are of interest to students. Multicultural teaching is not as a joke. we should aim our vision to create syllabi which can make a beautiful rainbow from different color.